Last time I spoke about the influence of a certain Neil Young on the music of My Morning Jacket. Neil Young is a man who used to rear chickens to sell their eggs when he was just a boy. Neil Young is the man Martin Scorsese had to re-edit his rockumentary ‘The Last Waltz‘ (about the goodbye concert of American group The Band) for, to get rid of the cocaine that was hanging from Neil’s nose during his performance. But above all, Neil Young is the man who delivered some of the most classic albums in music history. Young was born in Canada where he became interested in pop music as a teenager and started to perform as a singer-songwriter in 1960, at the age of 15, after dropping out high school. During the early sixties, influenced by Bob Dylan, Young discovered that he also had a talent for writing beautiful folk songs. So in 1966, he left Canada and took off to Los Angeles, the place to be at that point for everyone with a guitar and some good songs. After meeting Stephen Stills, they founded the band Buffalo Springfield together. That band would fall apart after only two albums caused to high tensions between the band members, especially between Stills and Young. Where did we hear that before? Right, Young would join Stills again in 1969 for the super group Crosby, Stills, Nash & Young, another group that was condemned to a short existence. But during those years in between, Young had already released two solo albums. In 1968 he debuted as a solo artist with the self-titled album Neil Young, including one of his well-known songs: ‘The Loner’. 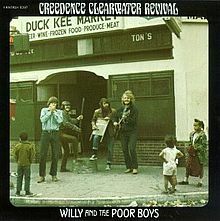 But Young apparently wasn’t such a loner after all, as he arranged a new backing band for his second album (Everybody Knows This Is Nowhere, 1969): Crazy Horse. This new combination resulted in some lengthy jams with that typical guitar sound Young was developing at that moment. Young considered Crazy Horse as ‘his Rolling Stones’, just like he saw Crosby, Stills & Nash (who he joined shortly afterward) as ‘his Beatles’, . They claimed worldwide fame with Déjà-Vu, broke up again and Mister Young was now ready for his international break-through as a solo-artist, trying to combine Crazy Horse and CSN on his next album: After the Gold Rush. How to accomplish this better than letting Crazy Horse jam with you on a couple of tracks, inviting Stephen Stills to do some backing vocals and CSNY band member Greg Reeves to play the bass? The result is a stunning classic album, mainly consisting of country folk songs, a genre that originated in the early sixties, when folk artists started more and more to reinterpret old country songs, in this way establishing an hybridization of folk music with country music. As one characteristic of the genre is the presence of thoughtful and personal lyrics, this album is the perfect representative. The album starts with the typical country sound of ‘Tell Me Why’. It’s just Neil and his acoustic guitar, till the backing vocals kick in, giving this opening track a little more weight. You can guess after the meaning of the song for yourself. The second track is my personal favorite, also being the title track. 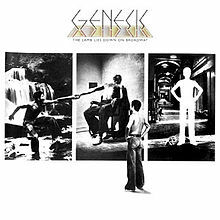 The first times I heard it, it sounded to me like a demure antithesis of John Lennon’s ‘I Am The Walrus’, with all kind of psychedelic lyrics. But Young is in fact warning us about what we’re doing to our environment, accompanied by a piano and a flugelhorn, which delivers a fantastic bridge in the middle of the song. Thom Yorke also covered this song solo during Radiohead‘s concerts in 2003, fading it into ‘Everything in Its Right Place’. What follows is the first of four piano ballads that are on the album. Somehow they all have in common that they combine often melancholic lyrics with cheerful compositions, featuring a young Nils Lofgren (later on to become a member of Bruce Springsteen‘s E-Street Band) on piano. ‘Only Love Can Break Your Heart’ and ‘Don’t Let It Bring You Down’ are both great songs, as they show us Young as a fantastic songwriter. The first one has this very recognizable lyrics, about how life’s simple before you fall in love. You’re not extremely happy, but everything’s just OK. Of course does love make you feel great, like you never felt before, but that same love is also the only thing that’s able to completely destroy you. The second one is a little more cryptic, but comes down to this: the world is a joke, I (Neil) know it, you know it, but don’t let this bring you down. Stay hopeful, because another attitude won’t help you any further. The other two ballads, ‘I Believe in You’ and ‘Birds’, are both love songs (about doubts and goodbyes), which don’t really jump out among the other songs. Fitting in the same category is ‘Oh Lonesome Me’, a cover from the original song by country musician Don Gibson. 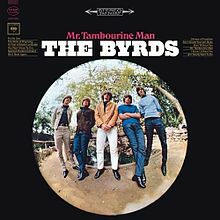 Young turned this song into a beautiful lament about a dumped man, starting with an harmonica intro and with backing vocals contributed by Stephen Stills. 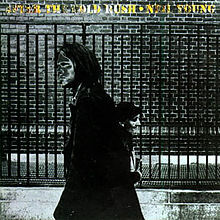 However, After the Gold Rush would never have become a classic album without the two songs where Young is joined by Crazy Horse, together jamming like on stage. First there’s of course ‘Southern Man’, one of Young’s most famous songs. This is the track that made me listen to the album more than once and in that way this song made me discover the other tracks out there. Don’t search for an intro, because there isn’t one: Young and the band immediately kick off with an upbeat piano and electric guitars. During the song Young condemns the racism in the American South, asking himself when the southern man is going to pay back the black people for treating them like slaves. The other grooves are to be heard on the heavily amplified ‘When You Dance I Can Really Love’. This song also has this upbeat rhythm and a nice bassline, with the band having an awesome jam towards the end, including a nice solo from Young. The remaining songs are ‘Till the Morning Comes’ and ‘Cripple Creek Ferry’, both about one and a half minute long. The first one is, according to my interpretation of the lyrics, about a guy who is only waiting till the morning comes. The other one is an easy going little country song, which closes the album perfectly. In the years following After the Gold Rush, Neil Young would first reach it’s highest commercial peak on his next album Harvest, containing his only number one hit, ‘Heart of Gold’. 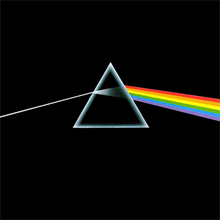 Then followed the so-called Ditch trilogy, full of songs drenched in depression, and many many more albums till today. Young succeeded to create a different sound on every one of them, making his discography as eclectic as a Captain Beefheart song. But the best starting point to discover this man’s work must be After the Gold Rush. Take your time, give the album an extra chance if necessary, but never, never force yourself to like it.